Norton House Hotel and Spa is an elegant Georgian country-house hotel just outside central Edinburgh. The spa itself is part of a modern cluster of buildings separate from the hotel. The facilities are perfect for a restful spa day; swim in the pool, brave the bucket shower and then bubble away in the hot tub. The customer journey is well thought out, and the treatments are excellent. The spa offers very good value-for-money and, on a sunny day, the zen garden is a lovely suntrap. There are two restaurants: The Brasserie for more formal meals and the Health Club Café Bar for relaxation and tranquility whilst enjoying Afternoon Tea. Norton House Hotel & Spa has 83 bedrooms ranging from Suites, junior suites, feature rooms, double deluxe, executive rooms to traditional bedrooms. 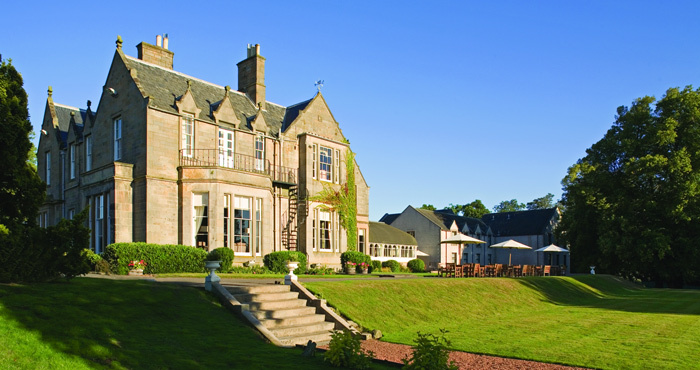 Situated 20 minutes outside Edinburgh City Centre and 5 minutes from Edinburgh Airport, Norton House Hotel & Spa is easily accessible. There is a lift to and from the spa. Please contact the spa for more information about individual requirements.